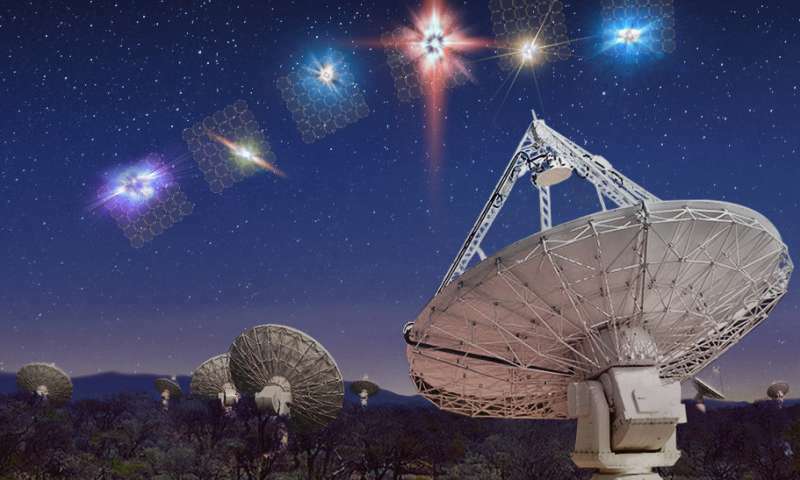 "We've found 20 fast radio bursts in a year, almost doubling the number detected worldwide since they were discovered in 2007," said lead author Dr. Ryan Shannon, from Swinburne University of Technology and the OzGrav ARC Centre of Excellence. Co-author Dr. Jean-Pierre Macquart, from the Curtin University node of the International Centre for Radio Astronomy Research (ICRAR), said bursts travel for billions of years and occasionally pass through clouds of gas. 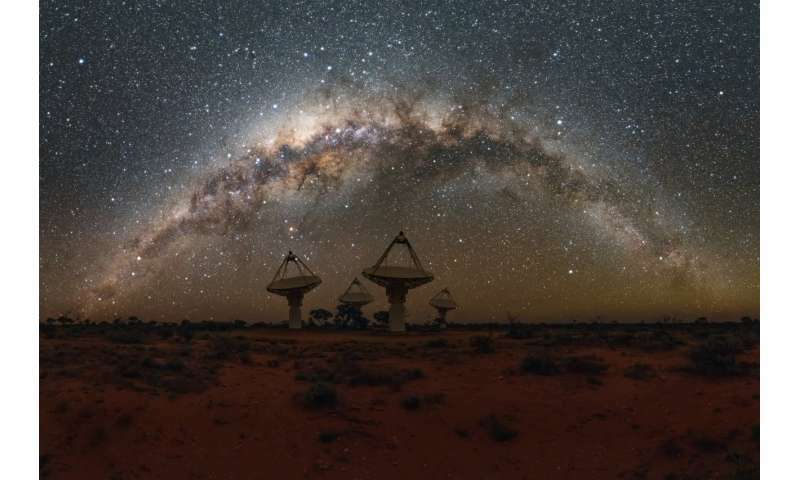 CSIRO's Dr. Keith Bannister, who engineered the systems that detected the bursts, said ASKAP's phenomenal discovery rate is down to two things. Dr. Shannon said we now know that fast radio bursts originate from about halfway across the Universe but we still don't know what causes them or which galaxies they come from. "We'll be able to localise the bursts to better than a thousandth of a degree," Dr. Shannon said. 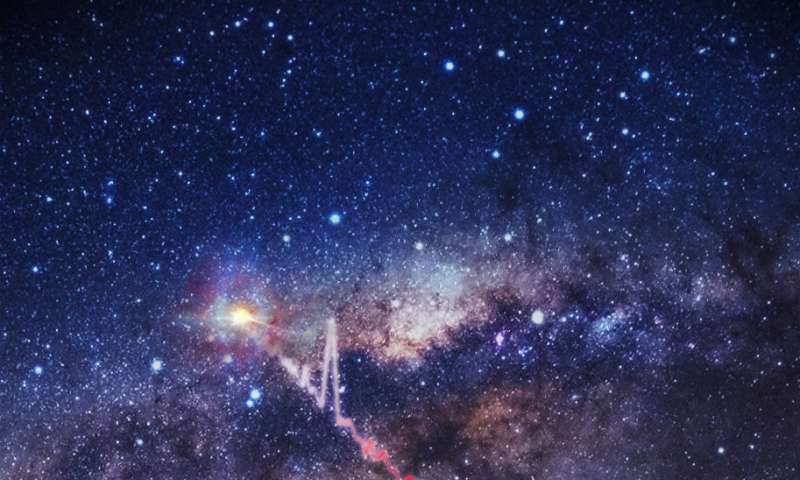 Co-author Dr. Jean-Pierre Macquart, from the Curtin University node of the International Centre for Radio Astronomy Research (ICRAR), said bursts travel for billions of years and occasionally pass through clouds of gas." But due to the fact that the Milky Way galaxy is traveling also with reference to the other side of the Universe, from/in which direction is the other side of the Universe? Above? Below the MW? Straight ahead or behind us? What if FRBs are the wake of an alien Alcubierre drive technology? FRBs named by YYMMDD, first burst described FRB 010724 by Parkes Observatory mostly FRBs found in recorded data. 19 January 2015, a FRB observed live, by Parkes Observatory. FRB, high-energy astrophysical phenomenon of unknown origin, as transients gigahertz radio pulses lasting milliseconds, discovered by Duncan Lorimer and student David Narkevic in 2007 looking through recorded by the Parkes Observatory on 24 July 2001 archival pulsar survey data, of uncertain origin and extragalactic origin. Galactic of origin, in relative terms as we are the other side of the vacuum, why are they coming from the other "opposite" side of the vacuum? It is in the article, and as expected from remote sources: "Fast radio bursts come from all over the sky". @SEU "from/in which direction is the other side of the Universe?" According to Suntola decelerating DU, the emitting sources started at the optical distance R4= 13800 - (280 through 3700) M l.y of the present receival time 9.2 B yrs of global (absolute)Newtonian time concept. You may want to calculate the corresponding values of the expansion speed C4 of R4 and emittal time T4 for the distant 3.7B l.y source to check the claim of emittal energy level of 80 yrs of Sun energy production (similar to the cause of SN1a mistaken DE 'confirmation' and accelerated vs. decelerating expansion). For instance, if C4_past=2 C_today we get R4_past=R4_today/4 and T4_past=T4_today/8, F4=1/T4. Correction: The optical distance of the emitting sources was 280-3700 M ly or the difference of R4 at the receival and emitting times. An optical distance (13800-280) M ly is for an emitting source at R4=280 M ly received at today's value of R4=13.8 B ly where R4 is the 4- (Hubble) radius of Riemann sphere in the direction of 3-D space expansion at the decelerating speed C=C4. The idea of DU continually balances the opposite motion/gravitational components of energized total mass M in the closed energy system. This 'energy vs. force field equation' can be derived using middle school calculus. Its solution of scalar nonlinear functions connects C4=C with R4 and dynamic Newtonian time T4 and its F4 frequency of atomic processes (such as ticking and decay rates). Decelerating F4 expands the local second at the same amount as C=C4 decelerates so the locally observable C appears constant. This fooled starting postulates of GR/QM including their mistaken DE, BB and GW 'proofs'.